Last week, you learned about Moments of Inspiration (MOI) and how these — with a bit of *magic* — can easily lead to a great return on investment (ROI). I’m sure you can’t wait to apply this knowledge to your marketing campaigns in upcoming 2015. So why don’t we continue where we’ve left off and take a look at another aspect of Content Marketing: how to use it effectively for B2B and B2C. Feeling excited already? Then let’s go! At some point, we came to understand that the traditional approach to marketing no longer works. With ever-growing and fiercer competition, promotional campaigns based on discounts began to lose their shine and effectiveness. Marketers began to think: There has to be some other way to differentiate us from our competitors. Something that will persuade them to choose us instead of other, seemingly similar solutions or providers. How can we help them arrive at that conclusion, other than simply telling them we’re better or cheaper? How can we sell without selling? The answer was pretty simple. You have to educate, entertain and inspire your audience in order to affect their behavior. Provide valuable, useful content then leave the decision to them. If you earn their trust, they’ll choose you. That’s what content marketing is about. When did it begin? 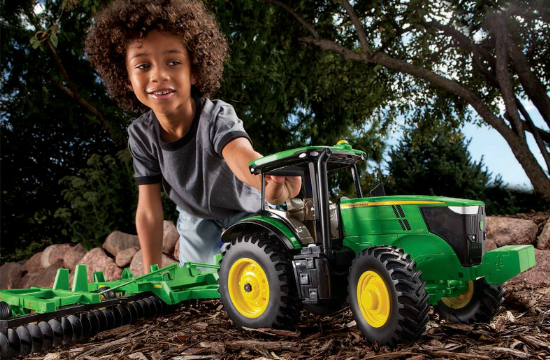 Some say John Deere was the original content marketer. In 1895, the company started publishing a magazine for farmers called The Furrow – a resource to educate their customers on how to be more effective in their business. The logic was simple: if customer businesses thrived, they would buy more equipment. Of course, if it were all thanks to John Deere, they’d look no further. This approach hasn’t changed much. Content marketers provide great resources, tools, advice, and knowledge, to be the preferred provider when the buyer makes the decision to purchase. So how can you use content marketing in your company? It depends on your business and industry. In some, the content marketing approach may appear obvious and natural. In others, it requires more effort and brainstorming prior to launch. Be aware of your target audience’s questions, doubts, and concerns. You probably know from experience. If not, conduct research by asking directly, surfing the web, or in discussion forums. Of course, creating content is one thing, but distributing it is another. Often, this may be the most difficult task. Find out what channels your audience uses (social media, discussion forums, YouTube, search engines, etc.) and provide answers through the most popular ones. Still wondering how to use this concept for your benefit? Let’s look at two examples from B2B and B2C to see how two different businesses could do it. You’ll see how it could for you! IKEA is a perfect example of a multinational B2C company that knows how to use content marketing. They serve millions around the world, selling convenient, easy-to-assemble furniture in many designs. But that’s not all they do. Let’s take a look at their program. If you’ve ever been to IKEA or planned to shop there, you must have seen their catalog. IKEA packs it with hundreds of pictures of their products, arranged in rooms carefully designed to be appealing. Each product has it own place and looks great. If you don’t know what would look good in your room and need inspiration — IKEA’s catalog is an answer. And IKEA knows how popular their catalog is. In some countries, the new 2015 catalog promotion included clients who entered photo booths to have their photo on the cover. Imagine the lines waiting for photos. OK, seeing a product in the catalog is great. But having it in your home is a different story. Will it fit? Will it look good next to the TV? You no longer have to wonder how it would look; just use the IKEA augmented reality app that goes with the 2015 catalog. It will place your favorite piece of furniture in your room, saving you the time and expense of visiting their store. Perhaps if you visited their store, you’d have purchased more products. But IKEA seems to prefer providing better service and avoiding returns and refunds for the products that don’t fit your home. Happy clients tend to return to the store more often, so it all just adds up. 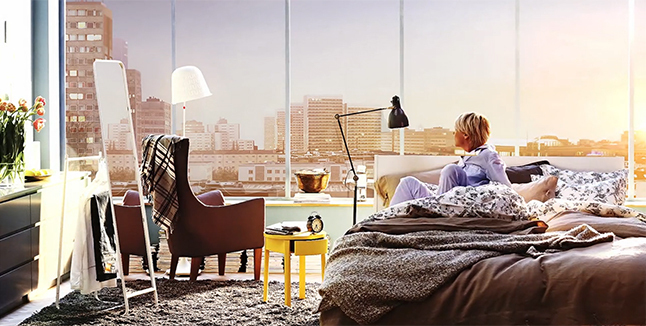 In the “IKEA Home Tour” a team of IKEA employees travels throughout America helping consumers furnish and design their homes to fit all their needs, wants and hobbies in sometimes-limited room space. You can watch the videos on their YouTube channel and follow the journey to see how they plan and execute these projects. You’ll also see how happy each customer is when they return home and see a complete makeover they thought was impossible. IKEA does so much that it’s difficult to list everything. You may have heard about their easy-to-follow assembly instruction manuals, how-to-build videos, IKEA share space, First :59 website and Pinterest board. Although the printed catalog eats up most of their yearly marketing budget, they cover other communication channels to meet customer needs and preferences. 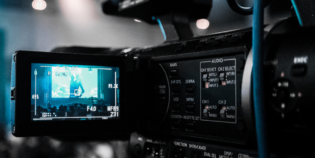 Perhaps less flashy — or less frequently mentioned on the news — great examples of content marketing come from B2B companies also. John Deere example aside, let’s take a look at a few modern examples on the Web. Google+ is the second-largest social network on the Web. If you’re running a business, you can’t ignore its power and reach. Due to its link with Google, Google Maps, and YouTube, Google+ is a great place to connect with your target audience and make your business more visible. 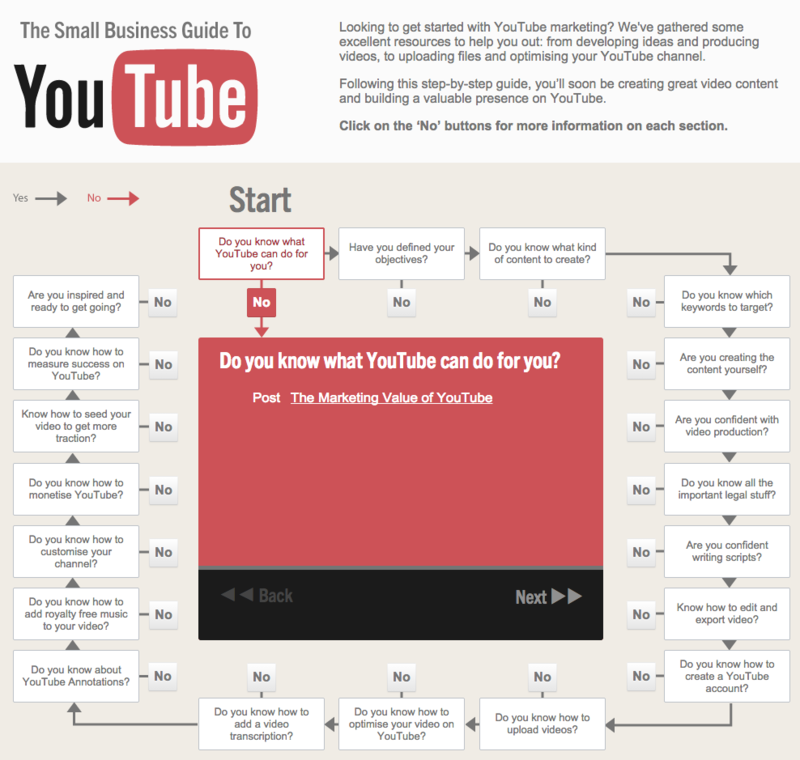 Google gathers tutorials from across the Web in this link: The Small Business Guide to Google+. It covers frequently asked questions and topics, presenting them in an easy, comprehensive way. And not just for Google+. They provide resources for YouTube, Google Analytics, Google Webmaster Tools and Google AdSense. These thorough resources are helpful for getting started with their products and promoting your business on the Internet. If you have a small business or do all of your marketing in-house, this is a great place to start. Of course, Google isn’t the only B2B company offering great content to customers. Moz offers a very interesting series of videos called Whiteboard Friday. In it, they answer frequently asked questions and teach about various topics, such as “Getting Branded Searches Right” and “How Can Mobile SEO Help My Non-Mobile or Local Business”. Currently, there are over 150 videos on their YouTube channel, and as it seems from comments on their recent post, their audience wants more of their content. Great job! If you research your industry, you’ll find more examples of approaches to content marketing. If you discover knowledge gaps, and your audience has unanswered questions, it’s time to act. You know the story behind content marketing and the reasons behind it. And now you’ve seen how others have done it. So get inspired and launch your content marketing campaign today. 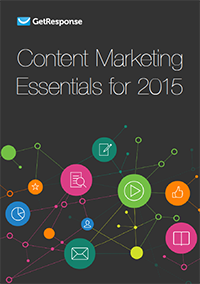 If you’re looking for more inspiration, check out this free Content Marketing Essentials for 2015 Guide that we’ve prepared for you! There’s plenty of valuable information and examples waiting for you, so get your coffee and a note-pad ready. You’ll definitely want to write this down and present to your team when you’re back in the office.